Dragon Remnants is a PvP Focused Covenant in Dark Souls II. At Dragon Shrine, after you kill the enemy shooting lightning at you, you go up the steps and kill a 2-handed and a shield/1-handed knight. Do not go through the door yet, look around for an area to jump off of next to two chests. One is a mimic so be careful ( The mimic is removed in Dark Souls II: SoFS). After killing a Drakekeeper and the NPC invader Dragonfang Villard, the Petrified Egg will be on an altar. Give it to Magerold of Lanafir in Iron Keep, and after speaking with him you can then request to join the covenant. (Note: With the Petrified Egg in your inventory, it is not possible to trade with Magerold. This can be resolved by joining the covenant or putting the egg inside your storage. Giving Magerold the egg DOES NOT immediately enter you in the covenant, just giving him the egg allows you to join, but doesn't tell you to abandon your old covenant. When joining the Dragon Remnants covenant, Magerold will give you a Dragon Eye and an Ancient Dragon Seal ring. When worn, this ring will increase the amount of HP you recover by using an Estus Flask by +50 HP. The Dragon Eye works similar to a Red Sign Soapstone. You use this item to place down a summon sign to duel the host of a world, who must summon you in. Contrary to Red and White soapstones, neither you nor the host have to be human for the Dragon Eye to work. To gain ranks within this covenant, you must obtain Dragon Scales. You can obtain them with in both PvE and PvP ways. Defeat a host who summoned you via your Dragon Eye. Defeat a Dragon Remnant member you summoned using their Dragon Eye. Possible drop from Dragon Soldiers in the Dragon Shrine. Found on a body near the elevator, after defeating the Guardian Dragon in Aldia's Keep. Small chance of dropping from Dragonfang Villard. The bridge right next to the first bonfire in Iron Keep is a well known PvP spot for this covenant. The Cardinal Tower and surrounding area is another common dueling area in the highest soul memory bracket. Because of the required Petrified Egg, it is not possible to join this covenant early on in the game. Beware: There is a chance of being attacked by your summoner immediately after entering their world, since you spawn where your sign is placed. You can still use the Dragon Head/Torso if you abandon the covenant. Defeating the host when you are summoned will fully repair all of your equipment, but will not reverse hollowing. Is there any reason to stay in the Coventant after obtaining the greatsword in teir three? Does souls memory affect who can see your sigh? Or is it like DS1, where if another player has a dragon scale they can see is no matter the soul memory or level? In the description of this covenant it says that a member of this covenant will obtain the dragon scale of a defeated enemy after defeating him in PVP-dragon-covenant-summoned. Does this mean the defeated foe loses his dragon scale ? I know that the winner obtain a dragon scale, but I would like to know if the loser actually loses a dragon scale. One of the dialog option with Magerold (the leader of the covenant in Iron Keep) allows you to give him a dragon scale. If I give him all of my dragon scales, leaving none in my inventory, would I still lose a dragon scale when defeated in PVP-dragon-covenant-summoned ? Would it work like a point rank in the blood covenant in duel (I read somewhere, here I think, that you lose a point rank in the blood covenant when defeated in the duel arena) ? I think this is not specified in this article. Tbh, I never expected Magerold to be the leader of a covenant. Honestly, it would make WAY more sense if the ancient dragon was the covenants leader instead of creepy grinning boy in the Iron Castle. Well, the dragon bros in DS2 were a disappointment to me to be honest. 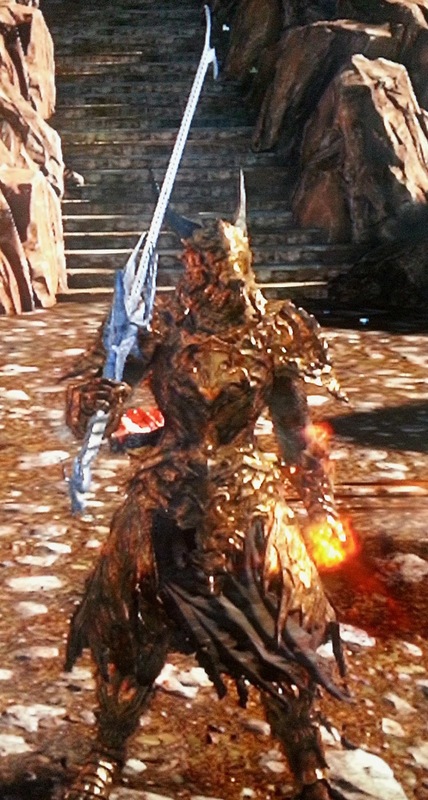 Ugly heavy suit of armor which looks like a prototype to Ornstein’s gear. But, other players were happy with it so more power to them. Preferred the dragon form without the extra heavy load. Just collected my 30th dragon scale and now there is no option to join covenant.. Any ideas how I proceed? Sometimes I feel like i&apos;m in the 1% when it comes to the Dragon Covenant, because when i&apos;m summoned I wait for however long it is for the summoner to buff themselves, heal, etc. And then start the duel. Also, know that many Dragon Remnants members are unhonorable. Be prepared!